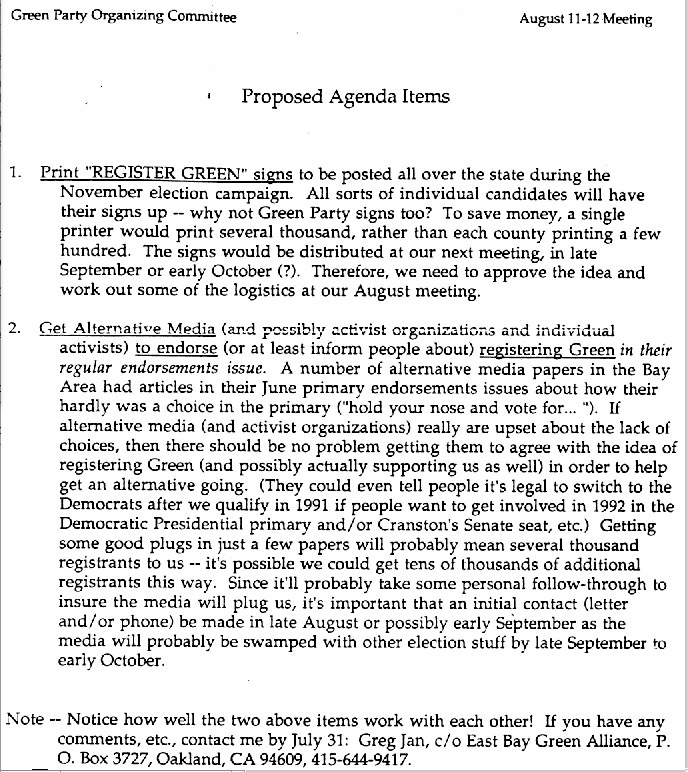 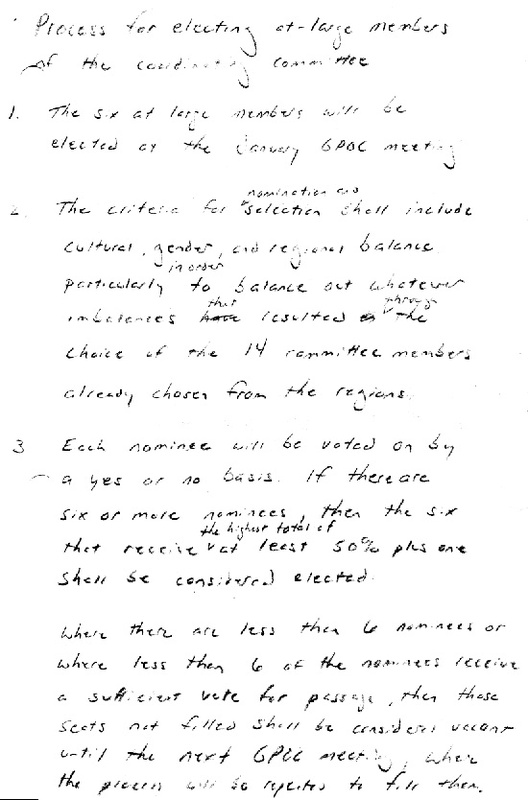 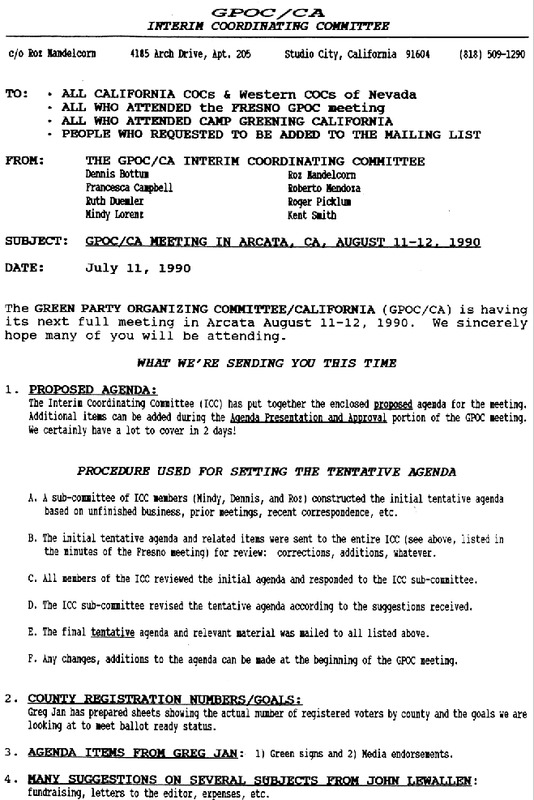 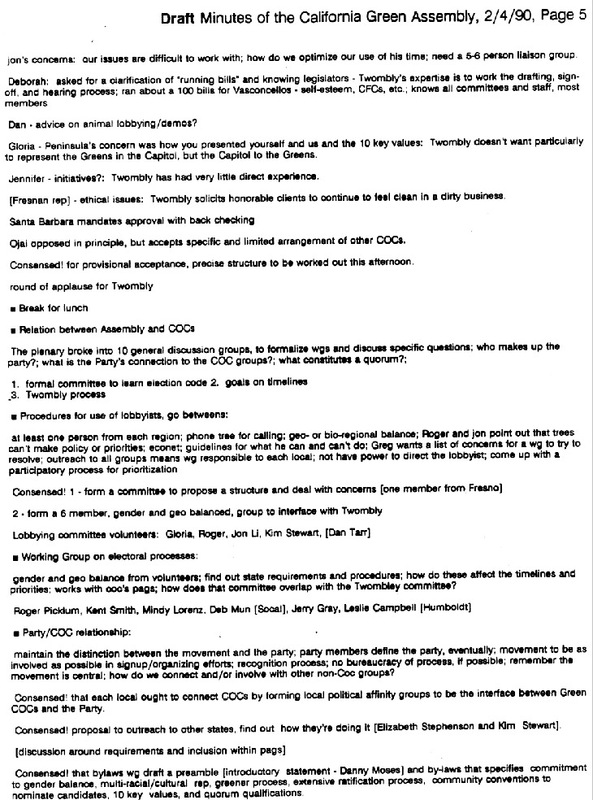 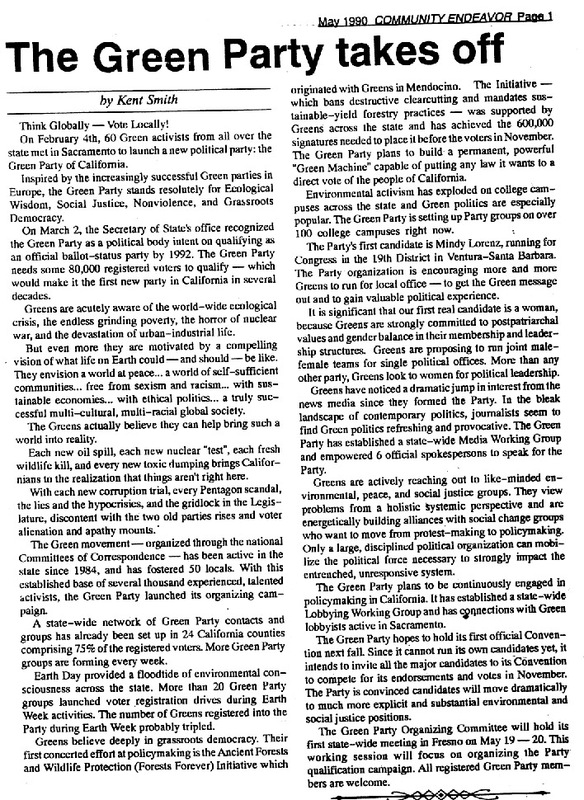 • California Green Party is Born. 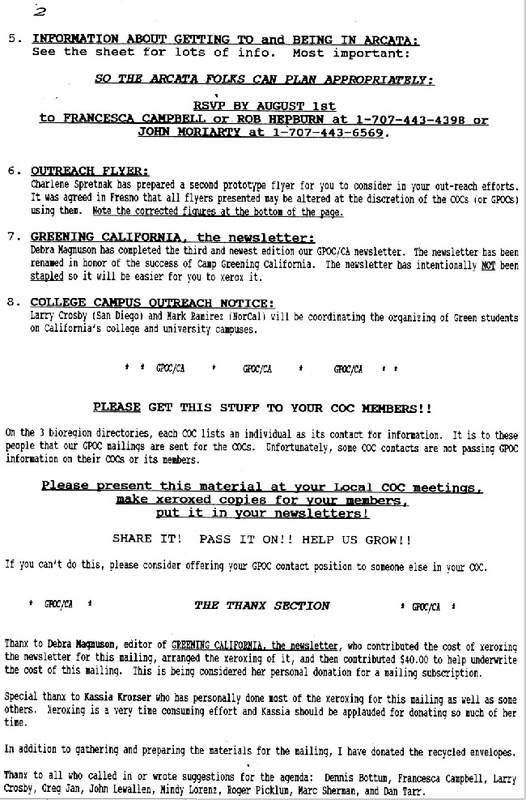 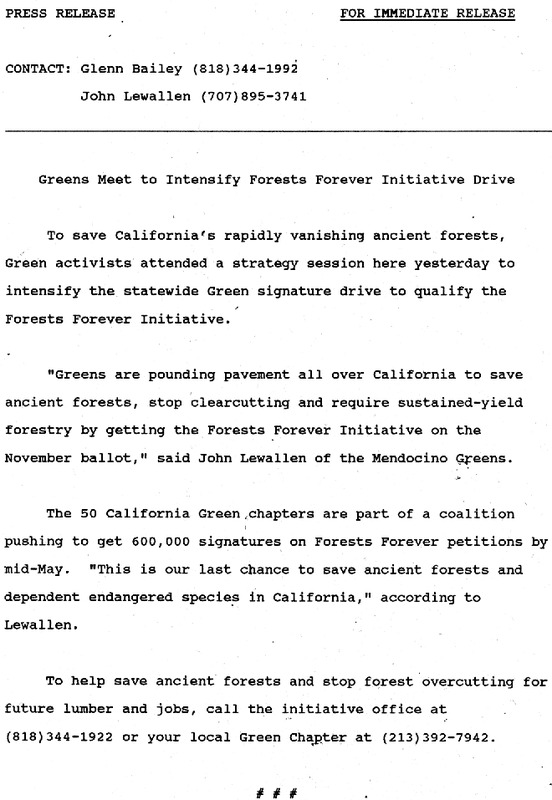 By Mike Feinstein, Green Synthesis, March 1990. 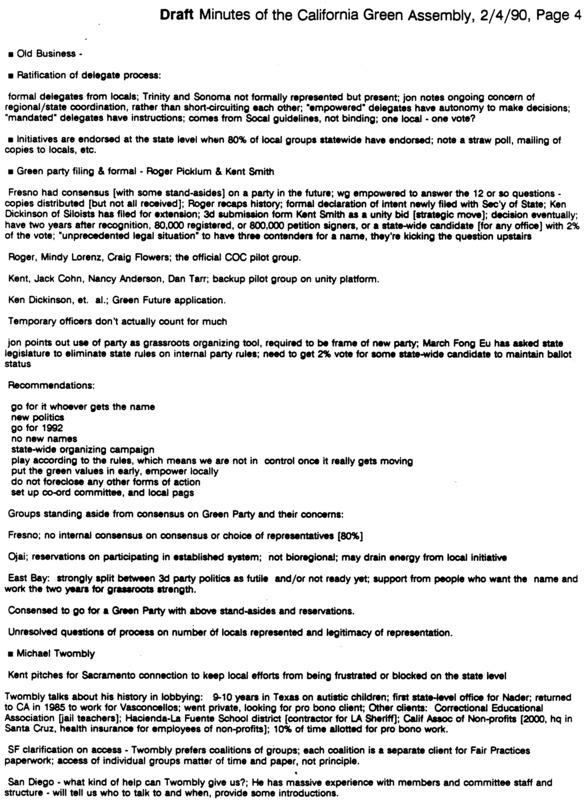 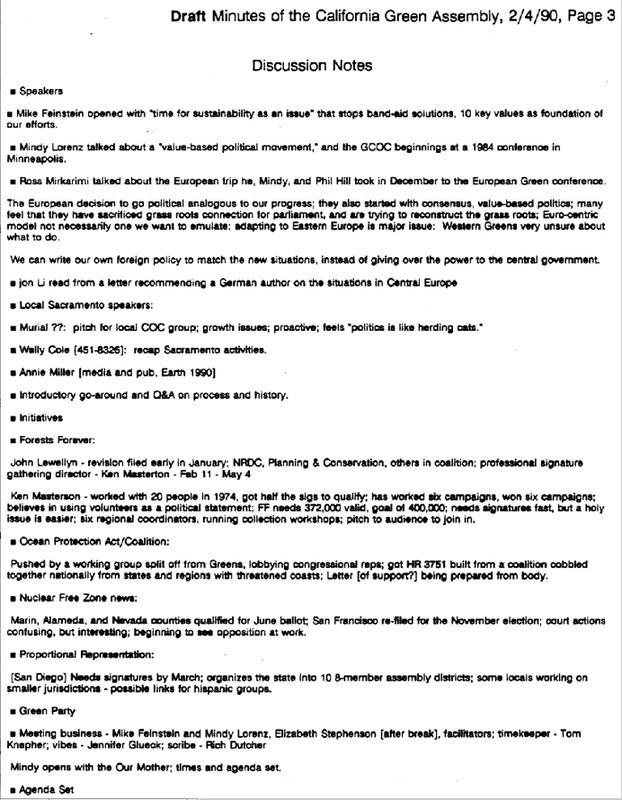 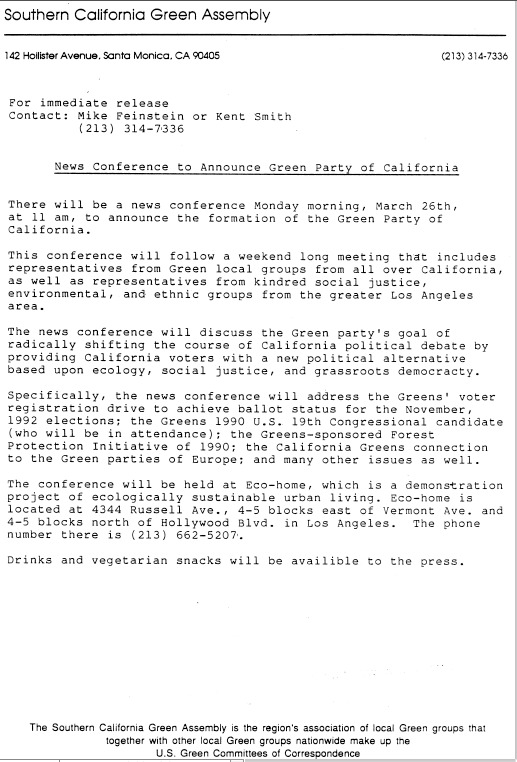 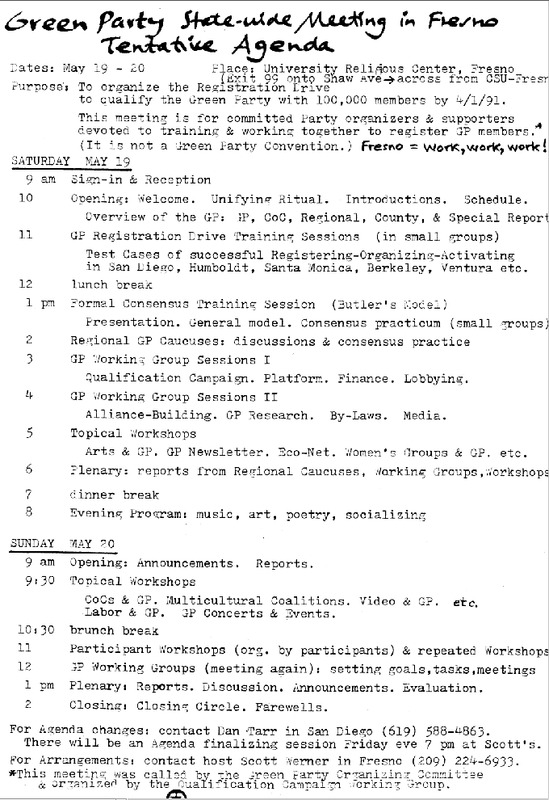 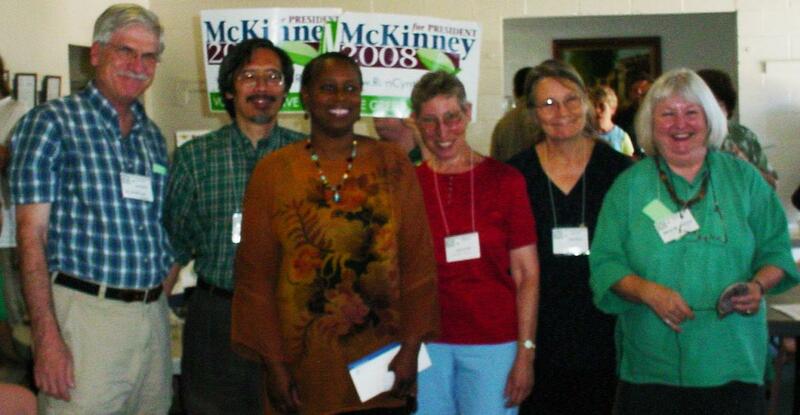 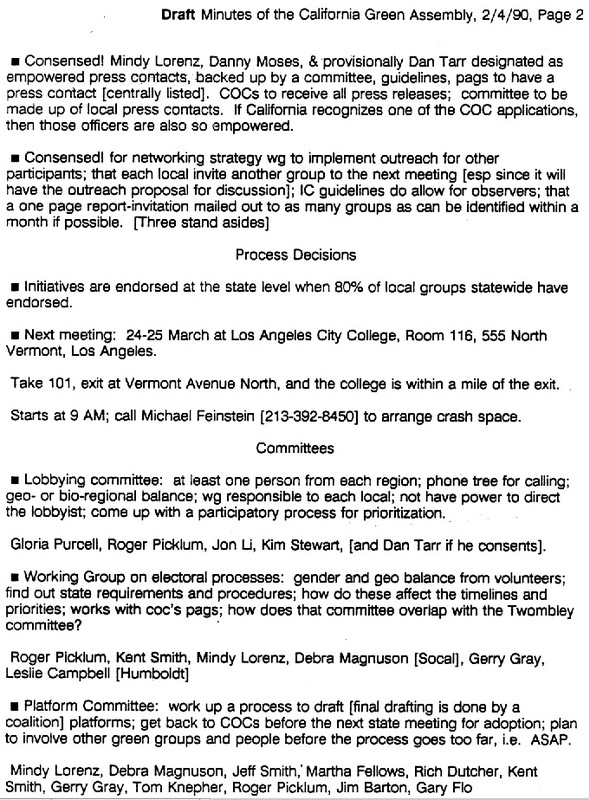 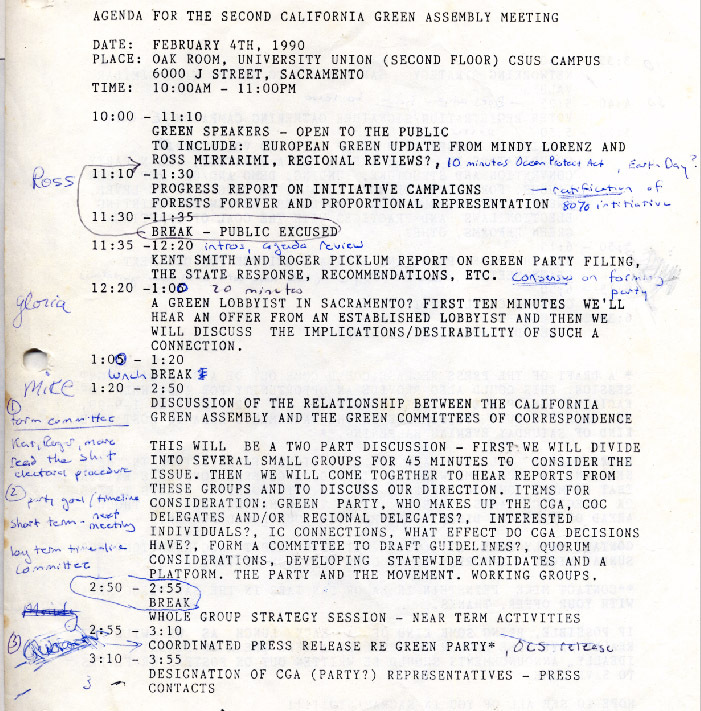 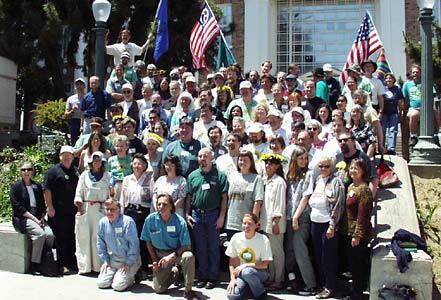 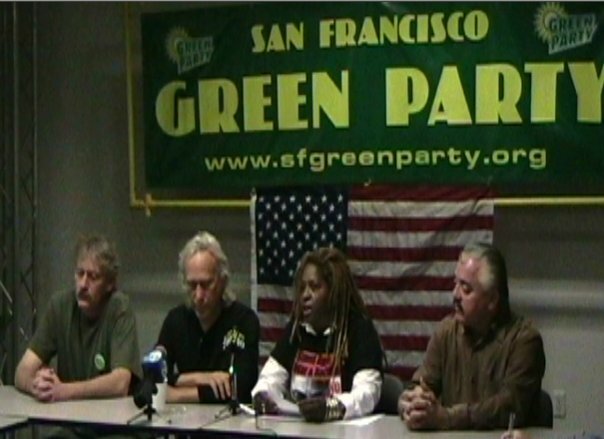 • Video: News coverage of founding of Green Party of California. 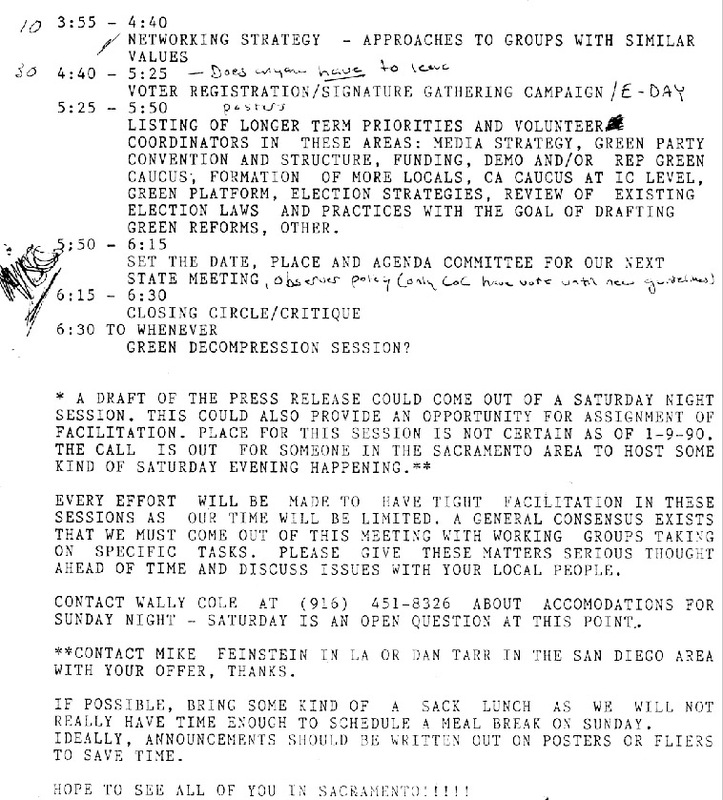 February 4, 1990.